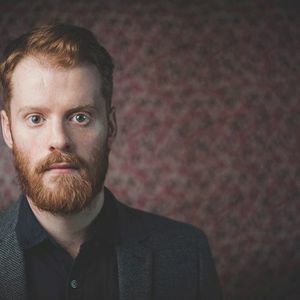 Over a year since his previous release, the album Let Bad In, Ciaran Lavery is back with a new track called ‘Everything is made to Last’. His music is commonly described as heart–on-sleeve acoustic pop, and these tones can be heard throughout the song. After the opening catchy guitar riff and his soft voice drags you in, the lyrics are beautifully relatable. Lavery sings about the past and how it can be relived through memories. His poignant lyrics ask questions and express thoughts we all have had at some stage in our lives. They are full of nostalgia mixed with themes of identity and religion. The song slowly builds up to a strong, passionate chorus and by the time the second one arrives, you’ll be singing it at yourself in the mirror. The guitar is the primary instrument heard throughout the song but at the second chorus it is over-ruled by an invigorating drumbeat, and this gives the song an empowering and soulful feel. ‘Everything is Made to Last’ has over 200,000 streams on Spotify and counting at the time of writing, with Lavery himself having close to 800,000 monthly listeners. Having a sound similar to the likes of Little May and Ben Howard, I highly recommend you give this track a listen: this won’t be the last you hear of Ciaran Lavery. These lyrics sung out in an awe-struck croon seem to capture the siren toned and bittersweet essence of Kim Hayden’s new song right from the very first line. 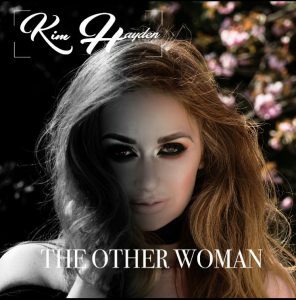 ‘The Other Woman’ is the title track of the singer-songwriter’s debut album, due to be released August 25th. Wicklow born Hayden rose to fame during her time on The Voice of Ireland music competition, where she enthralled both judges and the public with her electrifying performances. Hayden’s first EP ‘Warrior’ was released in April 2013, and quickly rose to popularity, reaching No.1 in the iTunes Soul/RnB charts. ‘The Other Woman’ is a soft, sad rumination on the age-old fable of the other woman. She has been given a ‘femme fatale’-style glamour in this song. If Dolly Parton’s ‘Jolene’ is a plea for mercy from the allure of the other woman in her life, this song is simultaneously an ode and a lament to this character. The haunting vocals accompanied by a velvety guitar and percussion lead to a sound that caresses the listener. This track is an ode to our darker, stranger and more sensual sides. ‘The Other Woman’ is a seductive tribute that lingers long after the music fades away. ‘Turn Out the Light’, the newest single from band Flat Out is due to be released this coming August to the excitement of fans of both Irish trad and pop. The Mayo born group were first formed in their home town of Ballina in 2013. The band consists of cousins Claire and Mark O’Donnell, as well as friends Brid O’Donnell and Harry Lawlor. 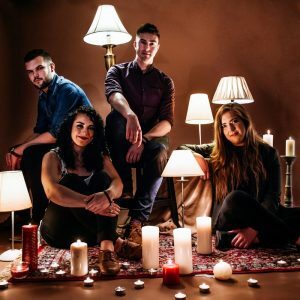 The band have created a unique sound as they blend the genres of folk, trad and pop using traditional Irish instruments such as harp, accordion, bodhran, flute and tin whistle to achieve this. Flat Out, on speaking of the new single, have said, “The message for this song we want to get across, to everyone who struggles with their mental health, is knowing that they can open up and that there is help out there.” The sound of this song – enthusiastic and energetic, with just a tinge of sadness – captures this sentiment entirely.